Looking for something to do this weekend? I've got something for you then. DEQ hosts their monthly Cleanup Brigade on Saturday morning. This month they are at Wing Beach. The cleanup begins at 8 AM. 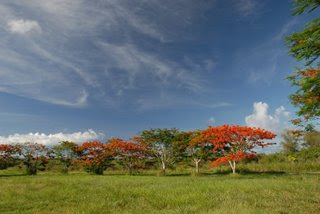 Earlier this week I said we'd be planting Flame Trees on Saturday morning. That was because I forgot we are going hiking. So just to be clear, there will be no planting this week. Instead, the Parks & Trails committee will lead a reconnaissance hike up the Banadero Trail. We are working with the Boy Scouts to get this trail named as an historical trail. 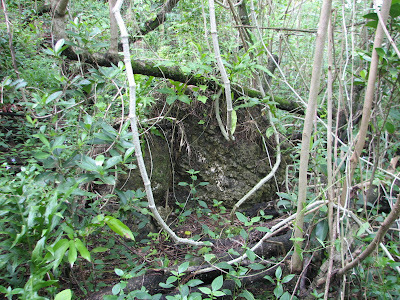 We are going to hike it tomorrow to see what kind of work needs to be done to improve it. I will lead a hike from the Korean Memorial up to the top of Suicide Cliff and then back down. We'll be taking GPS positions of areas that are in need of stabilization, and so on, and anyone is welcome to tag along. Just meet us up at the Korean Memorial at 8:45 AM. If I'm not there by 9:00 AM...just keep waiting. The hike takes about 30-45 minutes each way, depending on how fast you walk. You will not need a machete, but please bring hiking shoes and water. Zorries are a no-no. If you are really motivated, you can cleanup Wing Beach with DEQ for an hour and then shoot up to the Korean Memorial to join us in our hike. 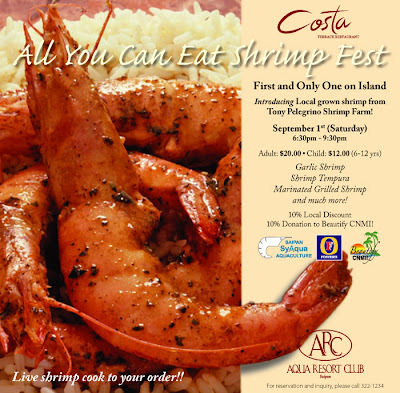 Saturday night Aqua Resort has an All You Can Eat Shrimp Fest. The shrimp are all locally raised and 10% of the proceeds goes to MINA to support Beautify CNMI activities. This is a great opportunity to support the local shrimp farming industry and our environmental coalition at the same time. Please call Yoshimi at 322-1234 for reservations. 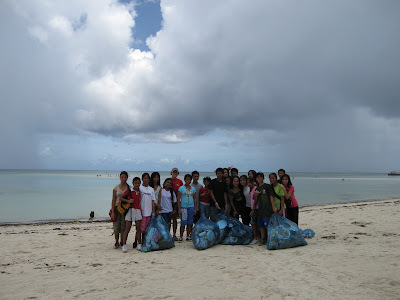 Sunday morning is our monthly cleanup of the Garapan Tourist District. We meet at the American Memorial Park parking lot at 8 AM. This will be the 12th consecutive month of this cleanup. Is Garapan clean yet? I do my best to keep it up to date. A local hotel is promoting locally raised food and donating some of the profits to a local environmental coalition. I think that's pretty cool. Let's all go to Aqua Resort this Saturday night to support local shrimp farming industry and Beautify CNMI! Call Yoshimi at 322-1234 for reservations. 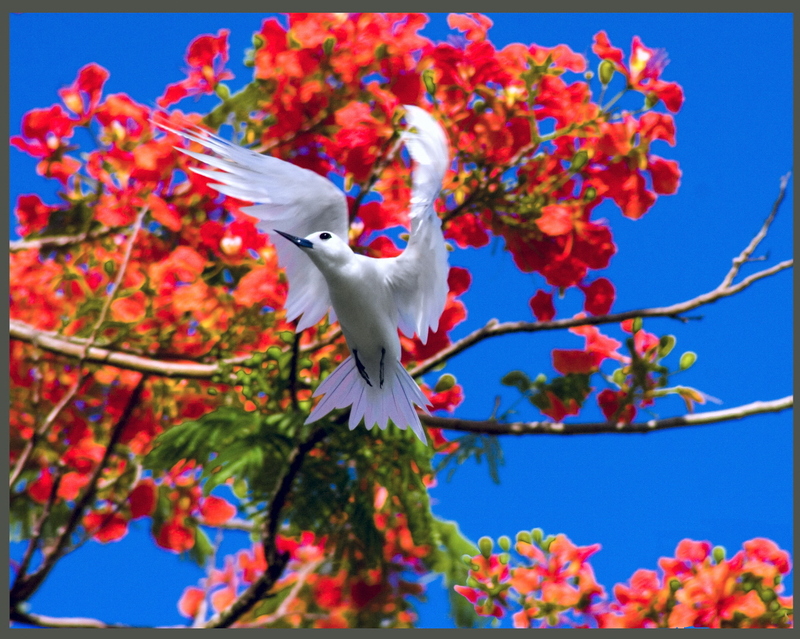 Leslie Ware won the Grand Prize with his photo of a Fairy Tern flying in front of some Flame Trees. He won a one night stay at Aqua Resort and lunch for two at Grand Hotel. These next two photos were taken by Takahiro Noguchi. If I had been a judge, I would have chosen the picture of the fish as the Grand Prize winner (Sorry, Les). Each Beautify CNMI giftpack includes one of our turtle bags, two t-shirts, several bumper stickers, and a limited edition Beautify CNMI mug. They are limited edition because I dropped the bag they were in and about 1/4 of them broke. The top 10 finalists and 10 Honorable Mentions were on display at our event at the Grand Hotel on Friday. After the announcement of the winners we had a public forum hosted by Marianas Resource Conservation & Development Council (that's me). Over 30 people participated, including several public school teachers. Dr. Peter Houk, Biologist from Division of Environmental Quality, and Greg Moretti, Marine Protected Area Specialist from NOAA, presented on some of the work they are doing concerning the Micronesia Challenge. Afterwards we had a long question & answer session. Thank you, Aqua Resort, Grand Hotel,and Marianas RC&D for providing prizes! Thank you, Grand Hotel for hosting the event! Thank you, Marianas RC&D for paying! There will be a forum on the Micronesia Challenge this Friday at 5 PM at the Grand Hotel in Susupe. I'm looking for fishermen, students, and divers to attend! 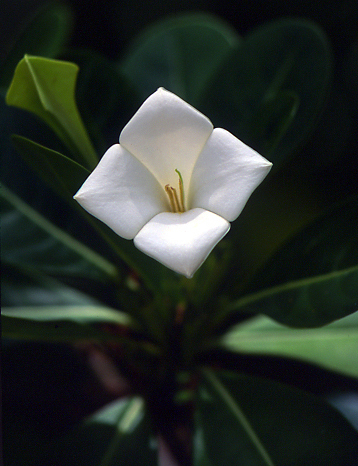 I'm helping the Micronesia Challenge Outreach Committee by putting together a photo contest. 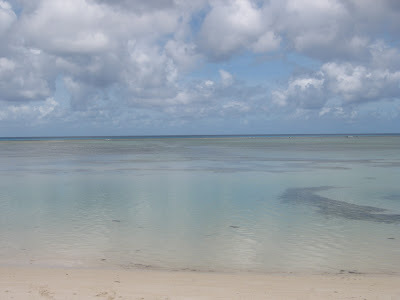 I went ahead and reserved http://www.micronesiachallenge.com/, set up a blog at micronesiachallenge.blogspot.com, directed the website url to the blog url, and started posting the pictures. We are going to announce the winners on Friday at Grand Hotel, which is followed by a Micronesia Challenge panel discussion. MISSION: We are an alliance of consumers and producers who are focused on promoting, adopting, creating, and advancing the use of the CNMI's natural resources as sources of alternative energy. In this issue: New net metering regs and comments sought; wind power talks by Jim Thomas, Chuck Jordan and Joe Butters; AWEA small wind slide show; steering committee being organized; next meeting August 19. The second public meeting of the CNMI Green Power Alliance took place Sunday July 29 6PM at Coffee Care. Things are really moving forward! Seventeen people attended (the same number that attended the first meeting) with seven new first time attendees. NEW GREEN POWER REGS POSTED FOR YOUR COMMENTS. First item on the agenda was a presentation of the first draft of the regulations for Public Law 15-23 (PL 15-23) by Assistant Attorney General Alan Barak, followed by discussion. A link to the initial draft of the regulations is posted on the website for review. Alan requested that feedback in the form of your suggestions, comments, or questions be posted on Bulletin Board (BB), which is now linked to the cnmipower.com website. It is intended that this BB will serve as an online public discussion group and speed up the process of getting the regs completed and published in the CNMI Register. The sooner you can review the draft regs and post your feedback the better, as Alan wants to get the regulations published in the CNMI register mid August for general public review. The regs to implement this law are critical to the overall benefit the law will have, and this is an unusual opportunity for us to have input. Once the regs have gone through the review process and are published a second time in the Register, they will go into effect. This could happen as soon as mid September. *To post comments on the BB, click the “Sign in” link on the upper right of the BB home page. The first time you sign in, you will need to click “Apply for membership” on the bottom right to create your user name and password. Initially, it may take some time for your user name and password to become active. As we develop the BB further, this process will become more immediate. WIND POWER TECHNOLOGY FOR THE CNMI. The second Item on the agenda was a presentation/discussion of wind power led by Jim Thomas, Chuck Jordan, and Joe Butters. JIM THOMAS of Windsock, Inc., (located on Middle Road in Chalan Lau Lau… windsockinc@pticom.com) discussed wind power in general and some of the special concerns for using wind power in the CNMI. Grid-tied or battery charging systems are available and will affect design and cost. He stressed the need to get a system certified by NEMA, or ISO, or UL, or another US DOE approved agency, in order to have a safe system that CUC will approve. He has been working with GE Wind Power’s China division on developing a wind power generation system specifically designed to meet the rigorous demands of the marine environment we have here in the CNMI. He has been trial testing prototypes at his home, and hopes to bring in units for commercial distribution once the regulations are in place. CHUCK JORDAN (Marianas’ Coffee - Weaning people of the Marinas off bad coffee one cup at a time… marianascoffee.com) discussed his experience with wind power dating back to his days in Yap in the 1980’s as an energy planner. Yap installed a wind generator that was effective but rusted out after only a year or two, and then became useless. He stressed the need for doing your research before investing, and getting a reliable system geared towards a marine environment, designed with ways to protect your system if a typhoon occurs. He mentioned that Saipan installed an experimental trial wind power system in Kagman many years ago that blew down in a typhoon before it was stabilized and was destroyed. He currently has an effective solar hot water system and a ? “Flowtron” solar powered pool cleaning unit that works well. He has been researching options and plans to install a hybrid solar/wind system to help power his residence and business on Mt. Tapochao as soon as the CUC regs are in place. Chuck also mentioned that Tina Sablan of DEQ is working with a group that is planning a grant-funded GREEN BUILDING DESIGN COMPETION. Further details about this competition will soon be posted on the cnmipower.com website. JOE BUTTERS described what is available at the Family Outlet on Middle Road in Guala Rai, near the Sherwin Williams paint store (Jason Jang, manager…jansonjang@yahoo.com, 234-8986). He has wind generation systems among other green energy items in stock and invited people to stop by, see what is available, and speak with him or manager Jason Jang about their products. AWEA SMALL WIND SLIDE PRESENTATION. I prepared a slide show presentation on wind power for the meeting, but due to time considerations, it was not shown. I recommend that those interested go the AWEA link on the cnmipower.com website to access the slideshow. Once at the AWEA website, click on the “Small Wind” top menu tab. In the next window, find and click the link to download the slide show “Wind power 101, and Wind power 102-104. It is a very good introduction to wind power, about 40 slides long in total. The Small Wind window page also has a link to equipment manufacturers. Visiting these sites can be educational. You may learn what products are available, current costs, and access useful links to other sites of interest. STEERING COMMITTEE. We discussed the need to create a steering committee for the CNMI Green Power Alliance. Those considering participating on the steering committee included Ron Smith, Ken Kramer, Scott Crockett, Barry Wonenberg, and Daniel Lamar. A steering committee meeting will be arranged, and the outcome will be discussed at the next meeting. You can contact Dan Lamar if you want to lend some time or suggestions to this effort. NEXT MEETING. The next general meeting of the CNMI Green Power Alliance is scheduled for Sunday August 19, at 6 PM, again at Coffee Care. Agenda items include follow-up discussion of the regulations to implement PL 15-23, report on the outcome of the steering committee meeting, followed by a presentation/discussion on Solar Energy. Please email me if you have suggestions on suitable persons to present and lead the discussions on Solar Energy. Please forward this newsletter to others you think might be interested, and encourage them to visit our website and register. 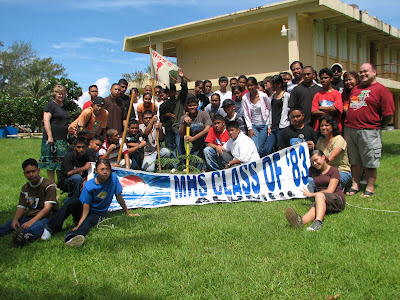 The Marianas Class of 1983 took advantage of "Austerity Friday" to plant a Flame Tree at their old stomping grounds. 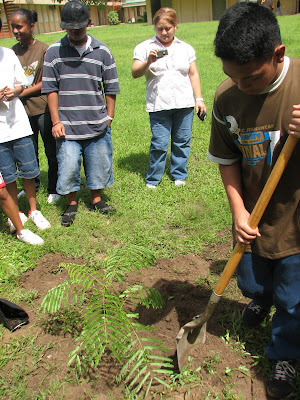 This Flame Tree was #101 of the Beautify CNMI Adopt-a-Flame Tree Program. I brought along a second tree and dedicated it to the MHS Class of 2011. 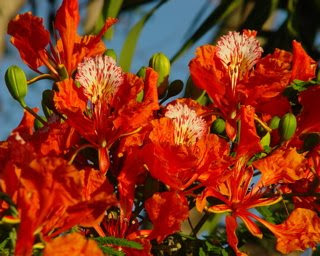 That was Flame Tree #102. 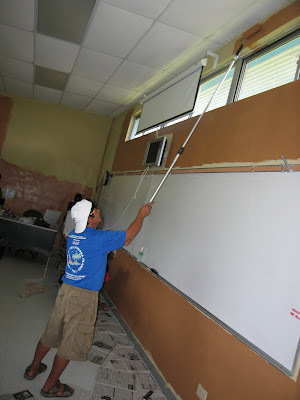 On Saturday morning we helped Jeff Turbitt, an English teacher at Saipan Southern High School, paint his classroom. Jeff provided the paint and we provided the man power. Java Joes provided the volunteers with a box full of cookies. Thanks, Rick Jones! 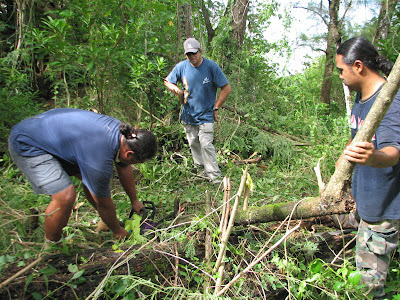 Tomorrow we have a cleanup of Isa Drive from the Botanical Garden down to San Vicente Elementary. We'll start at about 8 AM. Hope to see you there! PAWS President and Beautify CNMI's Animal Welfare Chair, Katie Busenkell, recently returned from an animal welfare conference sponsored by the World Society for the Protection of Animals (WSPA) in Samoa. WSPA is a United Nations partner. As a Pacific Island Society Member, WSPA invited PAWS to attend the conference to learn about animal welfare education in the Pacific region, as well as animal control methods and working with local governments. The conference was held from July 28-30. Pacific island delegates included Samoa, American Samoa, Papa New Guinea, the Cook Islands, Majuro, Fiji, and Saipan. A Vanuatu delegate was scheduled to give a presentation during the conference, but missed his flight. Also in attendance were representatives from the Australia Queensland RSPCA (Royal Society for the Prevention of Cruelty to Animals), New Zealand RSCPA, and WSPA directors from Australia, the United Kingdom, and Asia. So who told the NMC students about the East Obyan Latte Site? I've walked by it a dozen times and I had no idea it was there. Even if I had stumbled upon it, I probably would have thought that they were just a bunch of rocks. 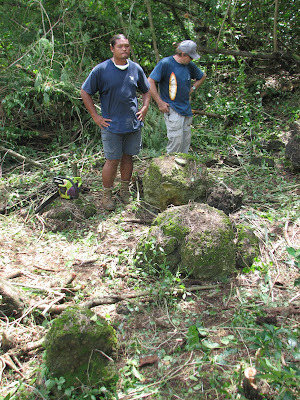 I imagine that this is one reason why there are so few latte stone houses left in the Marianas. Even if the Japanese or Americans had cared enough about the cultural symbol of the Marianas to protect them, were they even educated enough to recognize them? I doubt it. Luckily we have the people at Historic Preservation Office to help us recognize historical sites. They are there should we have any questions. They might not know all the answers, but they are at least there to give us some insight. 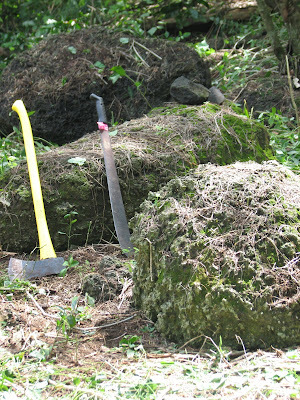 I hate to have to admit this, but even after we finished clearing the historical site, it still kind of looked like a bunch of rocks in a clearing. (hangs head in shame). HPO has a grant to design and build information signs for some of the historical spots around the island. Within the year, tourists and locals who visit this and a few other selected sites will be able to learn about some of the history of these islands. History is piled on top of history in Saipan. 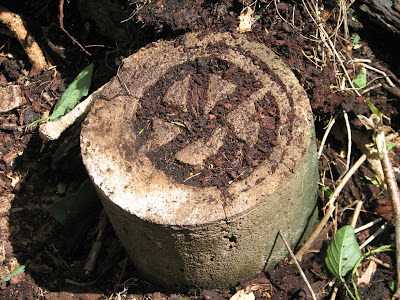 This cement post was put here by NKK before World War II. 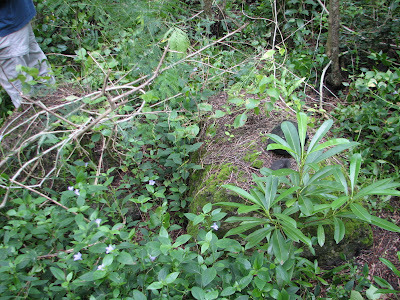 It is right in the middle of the latte stone site. So there it is. Go check out the site. To get there, park at the end of the paved parking lot at Obyan Beach, walk through the concrete structure, and right before you get to the beach, look left. You'll see a clearing with the latte stones in the middle. A post on my personal blog was included in Carnival of the Blue III, hosted on Rick MacPherson's blog Malaria, Bedbugs, Sea Lice, and Sunsets. Carnival of the Blue is a roundup of a month's worth of the best ocean blogging on the Internet. 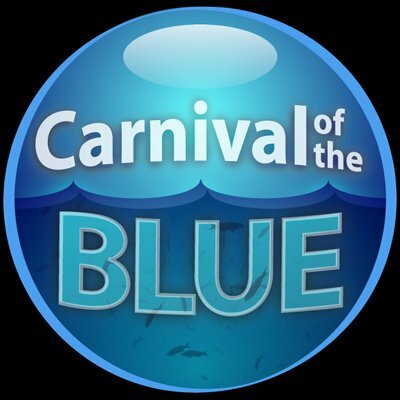 The Saipan Blog will host Carnival of the Blue IV on September 3. I am currently looking for contributors. Please publish your post and email me the link at angelovillagomez at g mail dot com. Once I publish the carnival, all you have to do in return is to add a link to it in a post on your blog. 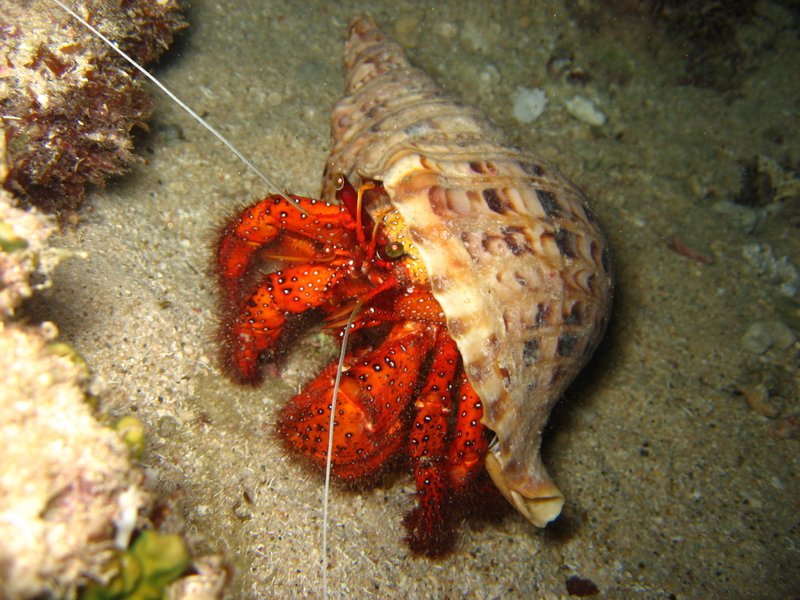 It is a great way to build traffic and connect with other bloggers interested in ocean issues. In 2006, Governor Benigno Fitial joined the leaders of Palau, Guam, the Federated States of Micronesia, and the Republic of the Marshall Islands to sign the Declaration of Commitment to the Micronesia Challenge. He pledged that the CNMI would work "to effectively conserve 30% of our near shore resources and 20% of our forest resources by 2020." 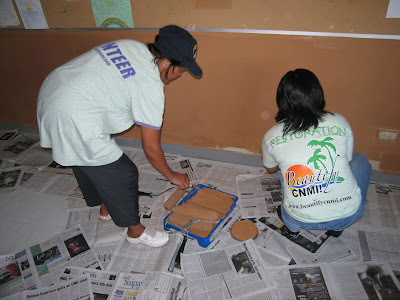 A CNMI Outreach & Education Committee is charged with publicly promoting the goals and activities of the Micronesia Challenge. 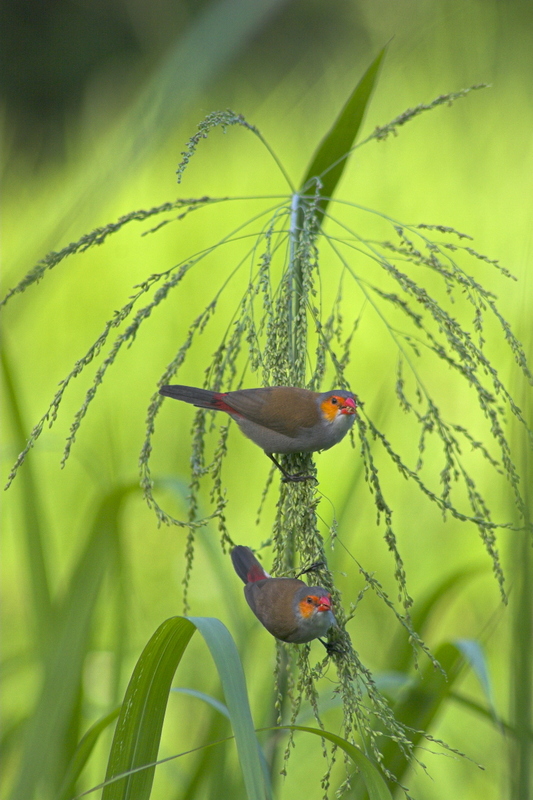 Composed of representatives from government, environmental non-profits, and other members of the community, the Committee is seeking photographs to use in outreach materials. In order to obtain as wide a variety of high quality photos as possible about the CNMI, the Committee hereby announces the “Micronesia Challenge Photo Contest”. 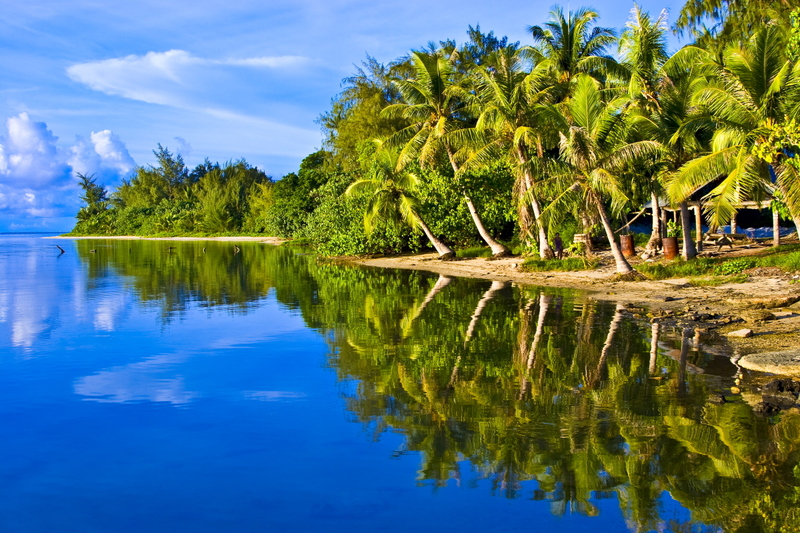 •Photos must relate to the Micronesia Challenge and must be taken within the CNMI. •Photos can be professional or amateur. The content of the photos is up to the artist. •Photos can be underwater, terrestrial, or aerial, can be natural and/or include wildlife, flora, or different types of people such as children, locals, and tourists in different settings. 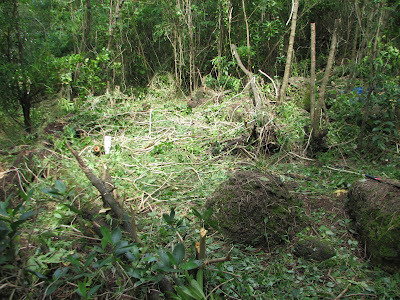 Other possible photos can show the effects on the environment of poor management and good management practices. 4.Our Environment: Our Health, Our Future. •Photos must be digital and emailed to angelovillagomez@gmail.com. •Each artist is allowed to submit up to 10 photos. 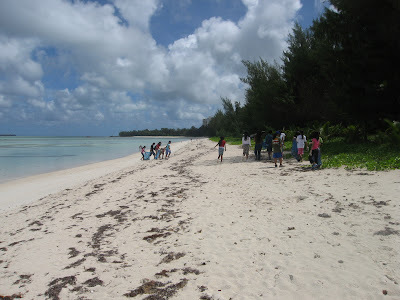 •Photos become the property of the Micronesia Challenge Outreach and Education Committee. •The best photos will be showcased on a website with appropriate photo credit give to the contributing artist. 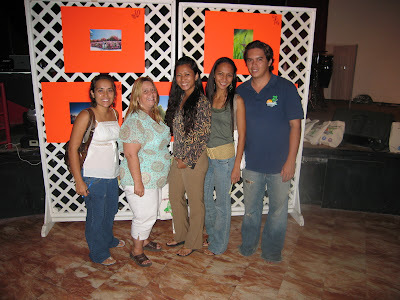 Prizes are yet to be announced, but the top 10 artists will receive a Beautify CNMI gift pack. Contest ends August 20th at 5 PM, followed by the announcement of the winners August 24th at a Happy Hour Panel Discussion with government and non-government officials involved with the implementation of the Challenge. If you have any questions, please contact Angelo Villagomez at 483-1078.